When it comes to laser treatments, LaserTouch Aesthetics offers more versatality and experience than any other medical spa in New York City. Check out each laser below to find out about the technology utilized at LaserTouch. 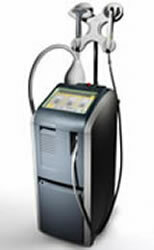 Recognized as the most versatile platform today, the Elite MPX addresses hair removal on all skin types, treatment of pigmentation, redness, wrinkles, treatment of facial and leg veins, plus new integrated IPL for photofacials. 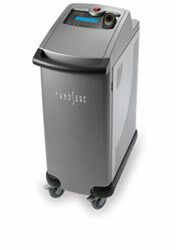 Cynosure's Elite Aesthetic Workstation is the most comprehensive laser hair removal system available today. Since it's designed for all skin types, it can treat the broadest range of skin types. 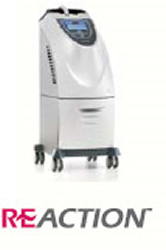 In addition, the system is optimized for effective treatment of facial and leg veins, as well as benign epidermal pigmented lesions. The GentleLASE® is a revolutionary long-pulse, high energy alexandrite laser that emits a gentle beam of light that passes through the skin to the hair follicle where it is absorbed. The laser energy is transformed into heat which destroys the hair follicle leaving the surrounding skin largely unaffected. The GentleYAG® uses Nd:YAG laser technology that is more suitable for the hair removal on darker skin complexions, as well as vein removal, skin tightening, and wrinkle removal procedures. 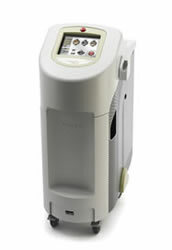 The Cutera Xeo is a laser platform which is equipped with a CoolGlide Nd:YAG laser device, IPL, and Titan, which provide LaserTouch Aesthetics with unmatched capabilities in vein treatment, freckle/sunspot treatment, and skin rejuvenation. 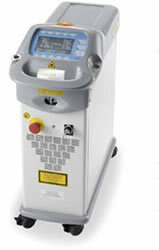 Medlite C6 is the leading tattoo removal laser device, effective on all color tattoos. Laser Lipo Sculpting, commonly known as SmartLipo™, is the world’s least invasive technology to get rid of small to medium sized areas of unwanted fat with minature 1-2 mm incisions. The recovery period is extremely short, with many clients returning to work within two days. Reaction™ combines the mechanism of advanced RF energy and vacuum therapy that work with the body's natural regeneration process to deliver safe and efficient treatments for cellulite, body contouring and tightening of the skin. 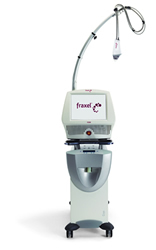 Fraxel is a non-invasive laser therapy providing a wide array of treatment options to address many forms of aging, customized to each patient's needs and concerns, many requiring minimal recovery time. It's the perfect solution for people who want their skin to look younger, but don’t want to look plastic or fake and can’t afford a lot of time away from work or their social life. 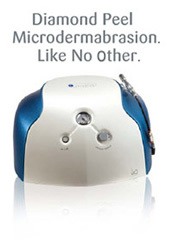 The award-winning Pristine™ microdermabrasion procedure offers patients a non-invasive and full scope exfoliation treatment that is comfortable and above all, a rewarding aesthetic experience. Since microdermabrasion is based on mechanical exfoliation, the results are immediately visible after the first treatment, making way for smooth, softer skin and a refreshed complexion.